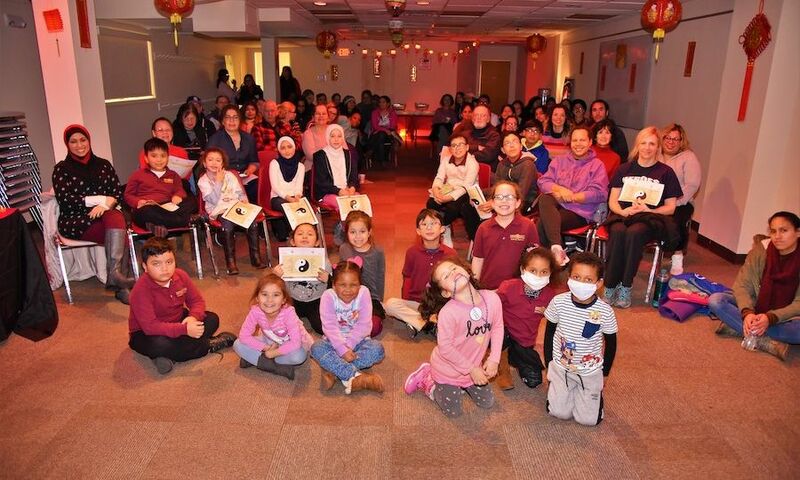 The North Bergen Free Public Library kicked off its Chinese New Year celebrations with a free feng shui workshop on Thursday, Feb. 7, with about 100 people crowding into the downstairs community room to learn about the ancient Chinese practice. Ivy from “Who Moved My Chi?” hosted the event, leading participants through the history of feng shui and providing practical tips for improving one’s living and work spaces. With her background growing up and working in both Asia and the U.S., she offered an approach that fit modern lifestyles – and budgets. For more information on Ivy and the services she offers, visitwww.whomovedmychi.me. The event concluded with a free feast of delicious Chinese food from Asian Fusion Restaurant on Bergenline Avenue in North Bergen. Chinese New Year is an extended holiday that can last for weeks. Continuing the festivities at the library is a free Paper Folding & Cutting Workshop at 4 p.m. on Thursday, Feb. 21 (postponed from an earlier date due to inclement weather), followed by a Qigong Workshop at 6:30 p.m. that same day, Feb. 21. For more information visit www.nbpl.org or call 201-869-4715. The North Bergen Free Public Library is located at 8411 Bergenline Ave.